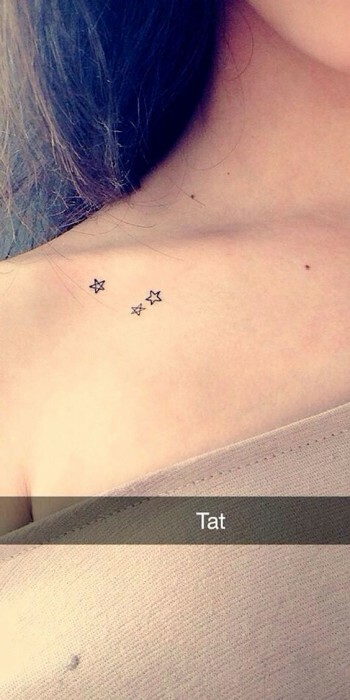 Stars are one of the most popular tattoo choices today. They may be used on the neck, wrists, back or hop bone. Other than looking beautiful, stars also have other meanings behind them. Since people will most likely ask you the meaning behind your star tattoo, it is important to decide in advance why you are getting the tattoo. Since stars appear at night, they are often used to represent the fight against darkness. For some people, this means that the star embodies truth and spirituality. They may also represent the divine relationship that man has with God. In many different cultures, the star tattoo is used as a symbol of protection and guidance. The North Star was famously used to guide slaves along the path toward freedom, so a star can be a guide as someone seeks a better life. The pentagram is basically a five-pointed star. For the ancient Celts, this symbol represented its storytellers and magicians. In addition, the five points of the pentagram corresponded with the four main elements in nature: air, fire, water and earth. The fifth point in the pentagram was meant to symbolize the union of the elements to create the spirit. 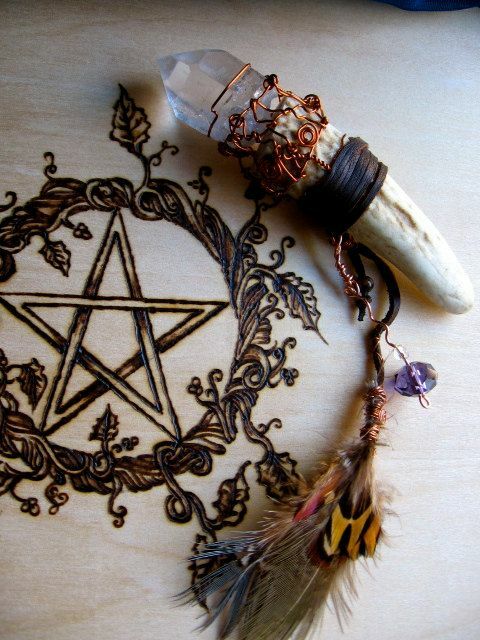 As a result, the pentagram was a symbol of the balance of nature and the human spirit. 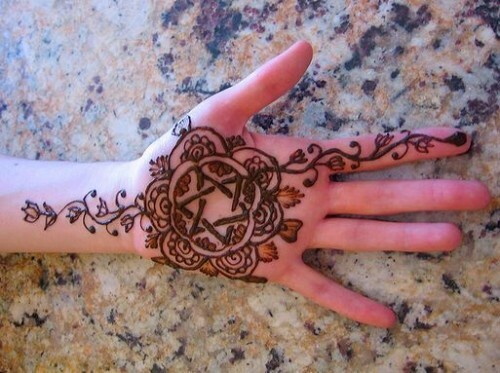 Often, the pentagram is used to symbolize the individual’s search for harmony and balance. Many cultures use the pentagram with a yin and yang symbol inside of it to show the harmony between humans and the elements. When the pentagram is pointed downward, it is used to mean the opposite and represents darkness and evil. Like the five-pointed star, the six-pointed star (hexagram) has a unique meaning. Known as the Star of David, the six-pointed star was a symbol that was important for Judaism. It symbolized the interaction between man and God through a divine connection that joins them together. According to legend, David had the Star of David placed on his tattoo when he fought the giant, Goliath. Because of this connection, the six-pointed star is known as the Star of David. This star is also known as the Creator’s Star. When used in this way, the six points each represent a day of the week. The center of the star represents the Sabbath. While the seven-pointed star is not quite as popular, it still has a rich symbolism. This star is connected to the seven main Chakras found in the human body. In the Kabbalah, the number seven was also considered significant. Because of this, the seven-pointed star was considered a sign that the wearer was integrating their mystical powers into their life. In the modern world, the eight-pointed star means regeneration and fulfillment. In Ancient Egypt, the Egyptians used the eight-pointed star to represent the eight main gods during the Pharaohs’ sixth dynasty. Known as the nonogram, the nine-pointed star is the connection of the nine elements. As such, it represents the potential for change and stability. While these are the most common meanings, the star tattoo’s meaning depends entirely on the bearer. Like most tattoos, it is possible to create a nearly unending number of combinations and designs. Different meanings can also be made by using different symbols and elements in the tattoo. The following are some of the most common tattoo designs that incorporate stars. The Filipino sun and stars is also known as the three stars and a sun. This design actually appears on the flag of the Philippines. Each of the three stars represents one of the three main island groups. Meanwhile, the sun’s eight rays represent a province in the Philippines. According to tradition, the stars and the sun should both be a bright golden yellow. Known by astronomers as comets, the shooting star has been used to symbolize good luck for thousands of years. 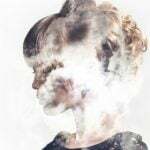 In modern myths, you are supposed to receive a wish if you spot a shooting star. In a tattoo design, the comet’s tail may be drawn with smaller stars or just a trail of shimmering star dust. While yellow hues are more true to life, a more whimsical shooting star can be made with rainbow colors or icy blue tones. While it may be small, tiny stars have remained one of the most common symbols throughout every culture in the world. 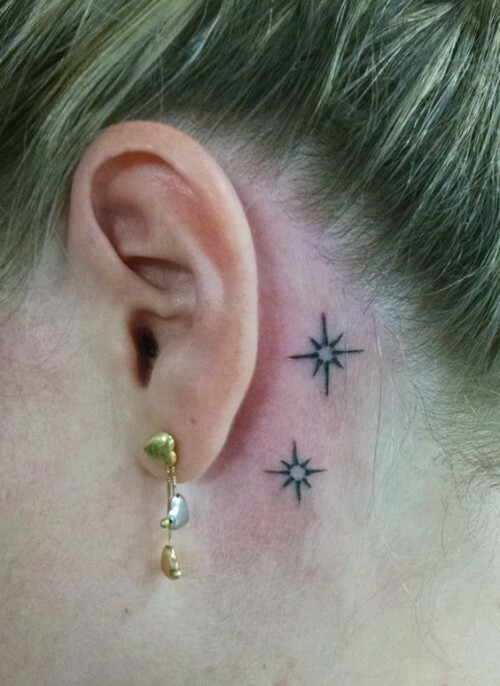 From twinkling stars to a star behind the ear, you can easily incorporate this tattoo design into your next tattoo. You can design them in any color, and different colors are often used to add an extra layer of meaning. 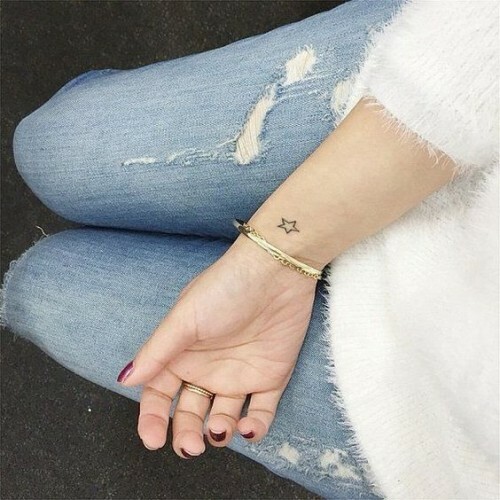 For modern wearers, a star tattoo is often used to represent a bright, happy event in their life. The star may signify the birth of a child or it can show your desire to reach a higher goal in life. Shooting stars are often used to represent a moment, person, event, romance or job that changed your life. Long ago, sailors had to use the stars to navigate on the ocean. The North Star was the common choice used to navigate their way homeward. Many sailors would get the tattoo of a nautical star out of a superstitious desire to navigate home safely again. As such, the nautical star often represents a desire for guidance and protection. Modern wearers may use it as a sign that they want to chart their own course in life. Often, these stars are called compass stars because of their ability to guide you. This tattoo uses a blend of the star design and the Celtic knot. When done in this style, the star can represent your heritage. The Celtic knot aspect can also symbolize infinity and an interconnectedness with the world. In ancient mythologies, the clouds had a variety of different meanings. The Romans and Greeks thought that the clouds were the homes of the gods. 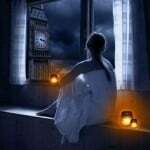 Modern people often believe that ominous clouds symbolize an approaching danger or bad luck. Depending on how you design your tattoo, the stars and clouds can mean different things. Stars emerging from storm clouds can show that you have triumphed over difficult times to achieve a goal. Since stars can be made as small or as large as you want, they can fit nearly anywhere on the body. For women, the most common spots for a star tattoo are the wrists, lower back, clavicle, hips, ankle, shoulder and hips. Men often place a star tattoo on the back of their shoulders, their upper arm, wrists or side. As long as the tattoo is not too intricate, you can make it as small as you want.